Ships today if you order in the next 4 hours 53 minutes. When it comes to the common cold and upper respiratory infections, getting through the day can be difficult. Symptoms that include sore throat, coughing, congestion, and sneezing can interrupt your daily life and if left alone may develop into something worse. 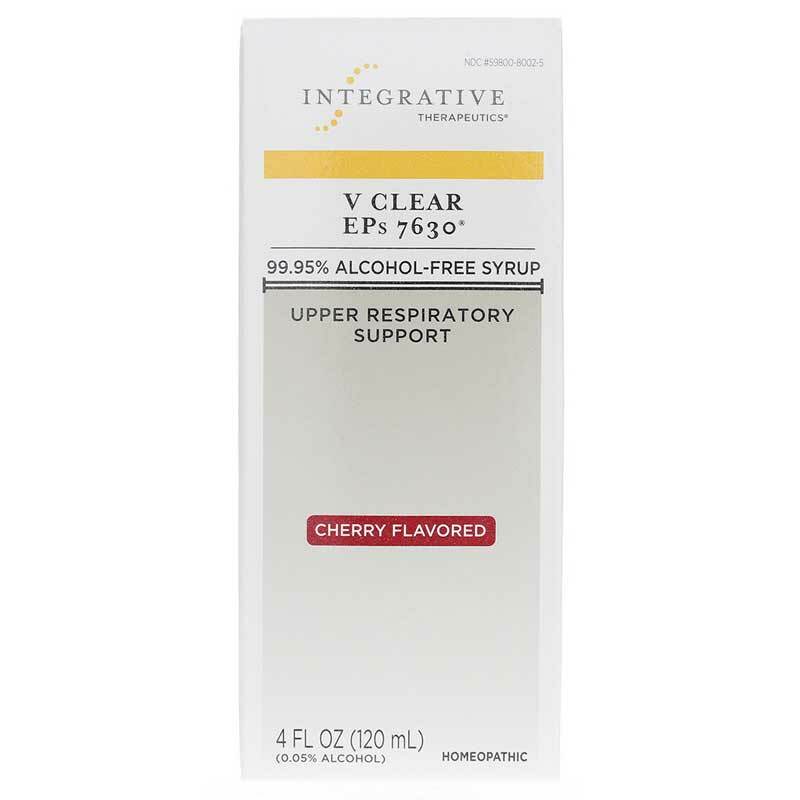 V Clear EPs 7630 from Integrative Therapeutics is cherry-flavored homeopathic syrup that works to help shorten and reduce the severity of your symptoms related to the common cold. Integrative Therapeutics V Clear EPs 7630 is formulated with a proprietary extract known as EPs 7630, which is from the roots of the South African Pelargonium Sidoides plant. It's the ideal way to find relief from the symptoms of colds and respiratory infections, and is great for the whole family! 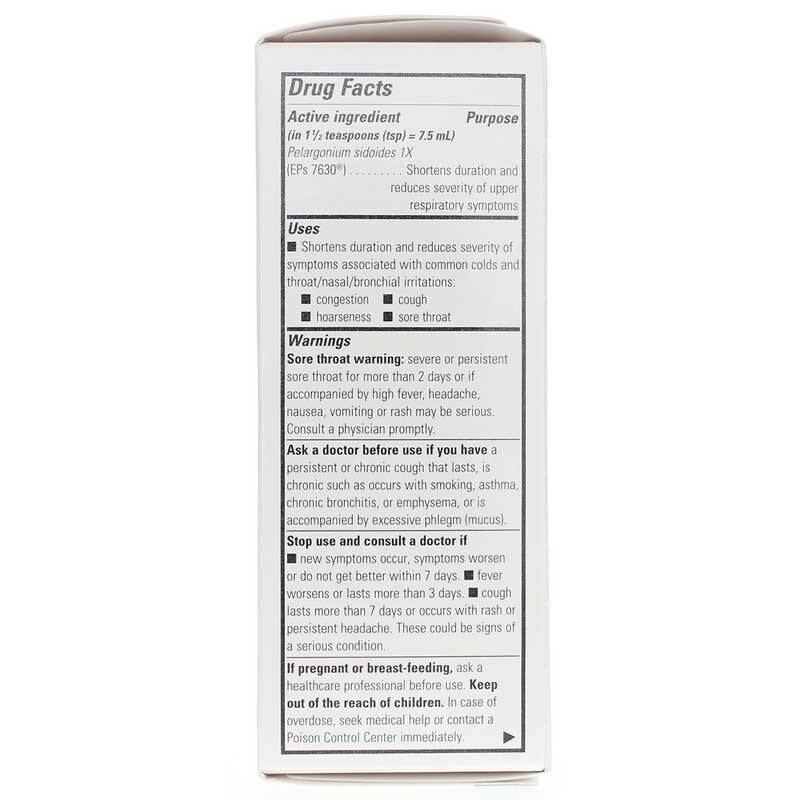 Inactive Ingredients: aronia juice, citric acid, fructose, maltodextrin, natural flavor, potassium citrate and purified water. For best results, use at first sign of symptoms and continue to use for an additional 48 hours after symptoms cease. 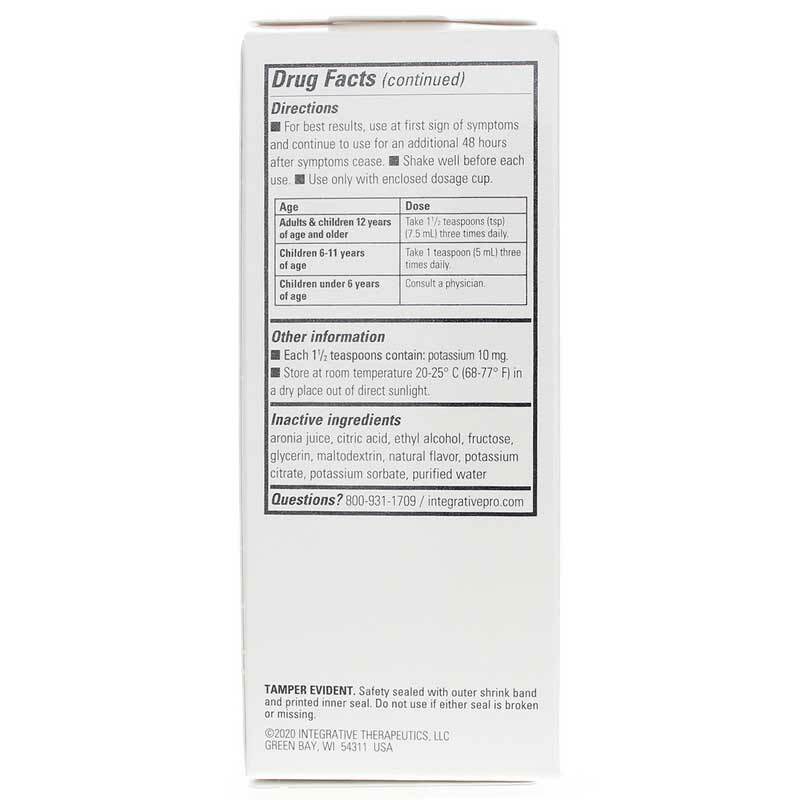 Adults and children 12 years of age and older: Take 1-1/2 teaspoons three times daily. Children 6-12 years of age: Take 1 teaspoon three times daily. Children under 6 years of age: Consult a doctor. If you are pregnant or nursing: please consult your healthcare professional before using this product. Keep out of the reach of children. Sore Throat Warning: If sore throat is severe, persists more than 2 days, is accompanied or followed by a fever, headache, rash, nausea or vomiting, consult a doctor promptly. Consult a doctor before use if you have: A cough that lasts or is chronic such as occurs with smoking, asthma or emphysema and/or a cough accompanied by excessive phlegm (mucus). Fever worsens or lasts more than 3 days. These could be signs of a serious condition. I highly recommend this product, but the key is starting soon. This also works just as well for my family members. I started using this product. Without having the alcohol in it, it was easy to take, didn't have that bite that makes me hold in my mouth a bit before swallowing. Wonderful product! Works every time!! !